The STAR Center is an officially approved site for clinical training for Music Therapy by the American Music Therapy Association (AMTA). We are located in Jackson, Tennessee, halfway between Memphis and Nashville. Since 1998, over 30 people have become AMTA-certified. 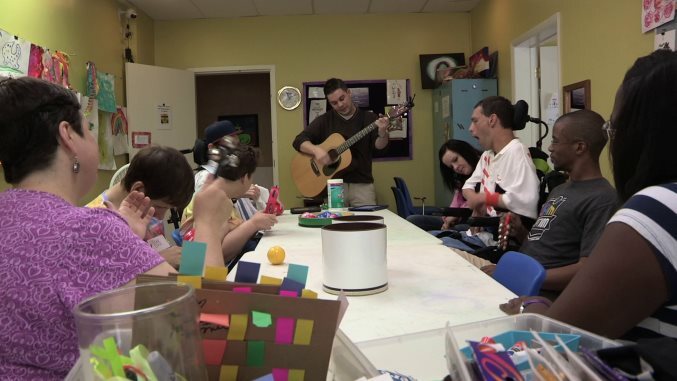 Our Music Therapy interns will be given the opportunity to serve people with disabilities in both group and individual settings. Interns will have the chance to work with board-certified Art and Music Therapists and a variety of assistive technology professionals. For more information, please contact Chrissy Watson at chrissy.watson@star-center.org.